Last month I listed a series of tastings and dinners I was presenting for wine lovers in Scotland, on behalf of Wines of Portugal. I’ve updated the list below, so if you’d like to come along please contact the retailer or restaurant concerned for details of tickets (if required) and timings. But I am also presenting an exciting masterclass in Edinburgh for the wine trade and press on Monday September 30th 2013, entitled ‘Dare to be Different’, where I will lead a tasting of eight wines from across South West France, pointing out where they’d make great alternatives to more mainstream wines. It may be a bit of a gimmick, but with England’s vineyards enjoying a fine summer and many of them within an easy commute of the capital, it perhaps is not so surprising that the first commercial winery within the city limits has been announced. Somewhat controversially however, it will be making wine from grapes imported from France, not Sussex or Kent. 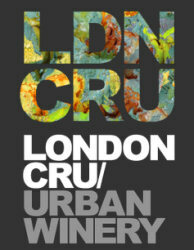 The winery is called London Cru, and is promised to be “a state of the art, boutique winery,” with grapes sourced from “prestigious vineyards in Bordeaux, Languedoc and the Roussillon.” The venture is backed by Cliff Roberson, founder of Roberson Wine and investor Will Tomlinson. London Cru will offer “a unique experience for people wanting to get more involved in the winemaking process without having to leave London.” Doors open to the public in November, when winery tours and tastings will begin. It will also be available for hire as a unique events space in the city. If interested, there’s more at londoncru.co.uk. 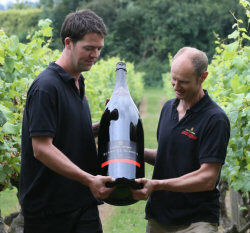 The “Largest bottle of English sparkling wine ever made,” is on show at Turner Contemporary. BProduced by Kent-based Chapel Down winery, the 15-litre Nebuchadnezzar of its Blanc de Blancs 2007 sparkling wine is of the gallery’s summer exhibition, “Curiosity: Art and the Pleasures of Knowing.” The bottle is the equivalent of 20 bottles so would pour around 120 glasses. It’s weight of 26 kilograms means you might require some help with that. At the end of the exhibition (15 September 2013) Chapel Down will tour the giant bottle to restaurants and bars across the country before auctioning it to raise money for the Margate-based gallery, which is a registered charity. Chapel Down will also be awarding 20 bottles of its sparkling wine – the equivalent number of bottles in a Nebuchadnezzar – to the one millionth visitor that comes through the doors of the gallery. I personally know a handful of colleagues in the wine business who have been diagnosed with prostate cancer, so it’s easy to support the charitable effort being made by Richard Evans, Director of UK wine company Dedicated Wines. Richard was diagnosed with prostate cancer two years ago but with early detection and the right advice, monitored correctly, it is not debilitating or life threatening. 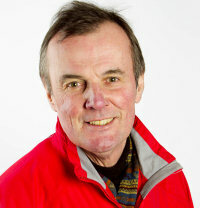 Now he is participating in the famous Clipper Round the World Yacht Race, crossing the Atlantic from London to Rio de Janeiro, in a bid to increase awareness of prostate cancer and to raise money for Macmillan Cancer Support and Prostate Cancer UK. The Clipper Round the World Yacht Race 2013-14 will start from St Katharine Docks, London on Sunday 1st September and will return almost one year later. Donate via ricardoracestorio.com. News soon filtered through to the UK earlier this month that Bordeaux had been battered by ferocious hail storms, always a danger when fruit is on the vine. According to the Conseil Interprofessionnel du Vin de Bordeaux, or CIVB, 2013 dry white Bordeaux will be worst hit, especially from the large and economically important Entre-deux-Mers region. The 10-minute storm destroyed over 7,000 hectares of vineyard in the area and caused damage to around 20,000 hectares in total. 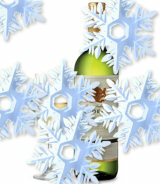 Those in the know are already predicting white Bordeaux shortages and possible price rise for the 2013 vintage. The storm is said to have written off 5% of Bordeauxâ€™s total vineyard area. Alsace also suffered significantly from the hailstorm, with Zind Humbrecht reporting that around 20% of its vines were damaged.